Asqus "Euclidean Haecceities" OUT NOW! - Bladud Flies! 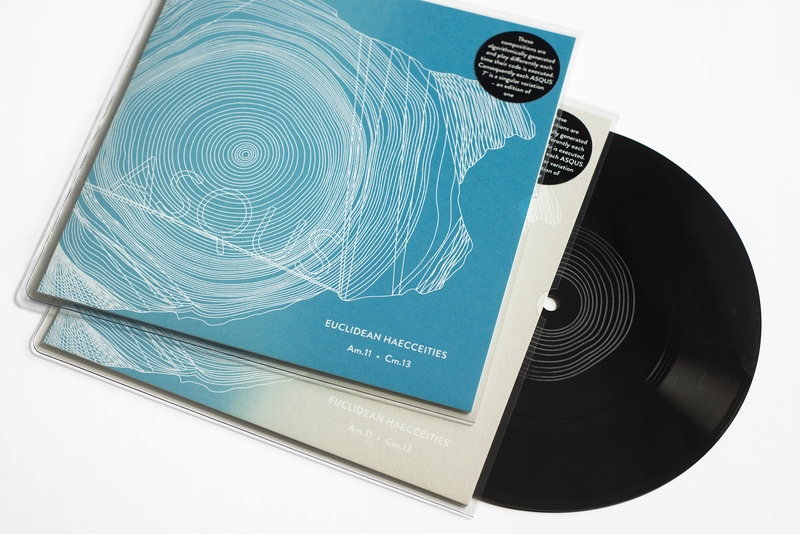 NEWS>Lathe Cut Vinyl>Asqus “Euclidean Haecceities” OUT NOW! Asqus “Euclidean Haecceities” OUT NOW! Asqus (AKA Aragorn23) is a South African based musician working with algorithmic and gestural composition techniques. For his release on Bladud Flies! – Euclidean Haecceities, the 7th entry into the Abhorrent Jukebox 7″ series, two piano pieces are processed using the Bjorklund / Euclidean sorting algorithm. With each execution of the code there are subtle changes to the rhythm, scale and pitch, creating endless possible variations. Am.11 and Cm.13 follow similar patterns, where dramatically frantic peaks emerge and fall back into a delicate and pensive state. Music for the unsettled. Each 7″ lathe cut is a different variation of Am.11 and Cm.13. No two copies are the same. We believe that this is the first time a generative music piece has been committed to vinyl. Edition of 60 hand-numbered copies. The 7″ has an engraved centre label on side A and comes housed in a beautiful screen-printed sleeve, with each sleeve having a slightly different colour gradient.